Inside the Beltway, my mom's going about her mother's day, no doubt anticipating a call from us later today. Despite our differences on politics and religion, which are enough to shatter any normal relationship, we are very close and I would not be who I am today without her -- and I mean that in the best way possible. She took mothering seriously. She wasn't just raising kids (although she made sure there was a big dose of that in the program -- people who know my mom might have trouble visualizing her as a Cub Scout mom, for example), she was raising two grown-up men. She wanted to make sure that when my older brother and I grew up, we would have a solid foundation in the old liberal arts tradition. So thanks! And thanks also for the deep friendship you've made with the mother of my children. Having the two moms in my life so close is one of my great joys! To my readers: Thanks for indulging me. In return, please feel free to pirate the tacky Mother's Day greeting image above. Two men dressed in female Muslim garb had robbed a Bank of America on Aramingo Avenue. Sergeant Liczbinski encountered the suspects on East Schiller Street and stopped their car. As he exited his patrol car, a suspect opened fire with an AK-47, striking Sergeant Liczbinski several times. Several citizens who witnessed the incident rushed to assist Sergeant Liczbinski, wrapping his wounds in an effort to stop the bleeding. Sergeant Liczbinski told them "Tell my wife I love her", before he fell into unconsciousness. Another officer and a citizen carried Sergeant Liczbinski into a patrol car and he was transported to a local hospital, where he died from his wounds. The suspects continued to flee, but crashed their vehicle. One suspect fled and the second suspect stole another vehicle, but was shot and killed by responding K-9 officers. A second suspect was arrested the following day and an arrest warrant was issued for a third suspect. 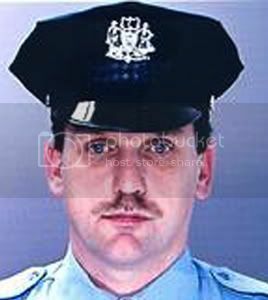 Sergeant Liczbinski had served with the Philadelphia Police Department for 12 years. He is survived by his wife and three children. There is no evidence the perps -- Howard Cain, 33, who was shot and killed by police, Levon Warner, 38, who was arrested, and Eric DeShawn Floyd, 33, who is subject to a massive manhunt -- are Muslims. The local news coverage is lauding a lot of praise on Liczbinski, but is drawing no conclusions about Islam and the crime. At this point, there's really just one point to be made from the story: It is perfectly sensible and valid for us to put restrictions on Muslim dress in the US for security reasons. It's not racial profiling to poke, prod and scan every single Muslim man and woman in traditional clothing. Time For A New Perfume? 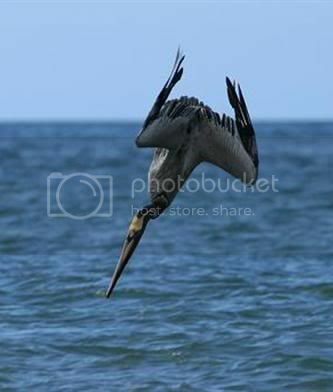 Pelicans grow to up to 30lb (13kg) and can dive from heights of 60 to 70 feet (18 to 21 metres). Ms Shoemaker, 50, returned home on Friday, the Associated Press reports. 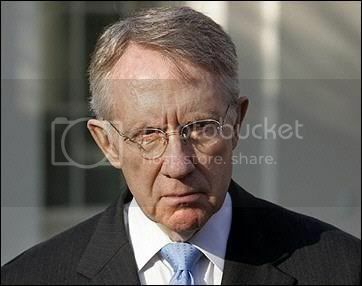 Harry Reid has said a lot of truly stupid things in his day, but this is toppers, what he said about Hillary Clinton's recent racial analysis of her prospects vs. Howdy Obama's, i.e., that she can be counted on for the scruffy but hard-working white vote while Obama can be assured of the snotty white vote and the lazy black vote. “I am confident that she meant nothing." Well done, Harry! I see why they made you Speaker, since you speak just so darn well. Let's follow the line on this one. No, not the line where everything turns out all right. What fun is that? Instead let's follow the line where global food supplies run short and Chinese Army troops are needed to keep hungry locals away from the fields they bought with the interest they earned from US Treasuries. 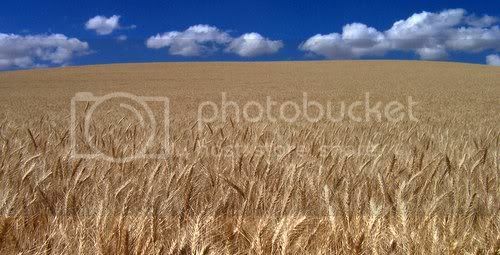 Then the People's Army escorts the crops past the really hungry people to the docks, where underfed stevedores stare at the Chinese with their Type 56 AK-47 knockoffs, thinking, "If I pocket a handful of this wheat, will they shoot me?" Yeah, that line. Anyone selling their country's land to the Saudis or the Chinese should see that this is the endgame that's in play, the endgame that everyone's anticipating. Yet they sell. One very, very strange and troubling world.